November 9, 2017 – Thea presented her research on nitrate ecotoxicology at the Warnell School of Forestry and Natural Resources at the University of Georgia. She was invited to speak by Warnell Professor Robert Bringolf. While visiting UGA, Dr. Edwards met with members of Prof. Bringolf’s laboratory and toured their impressive indoor aquaculture and aquaponics facilities, where the group works on several fish species, including tilapia, zebrafish, and fathead minnows. 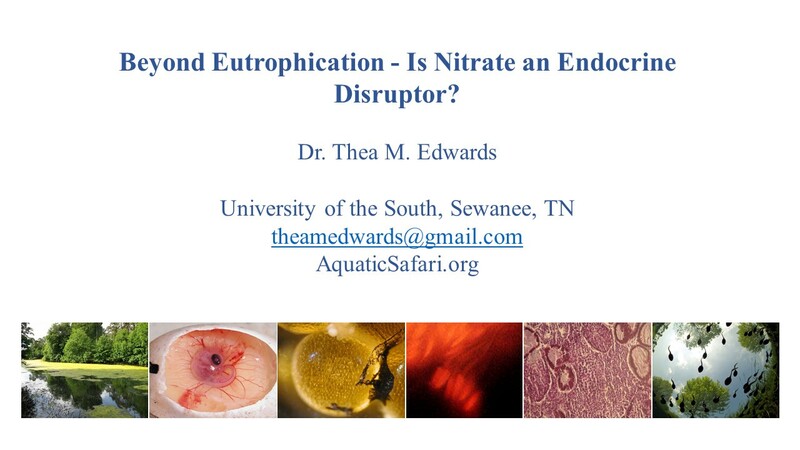 The Bringolf lab explores diverse research questions related to fish health and Dr. Edwards is excited to collaborate with them on new studies in aquatic nitrate toxicology. A video of her complete presentation is available HERE.